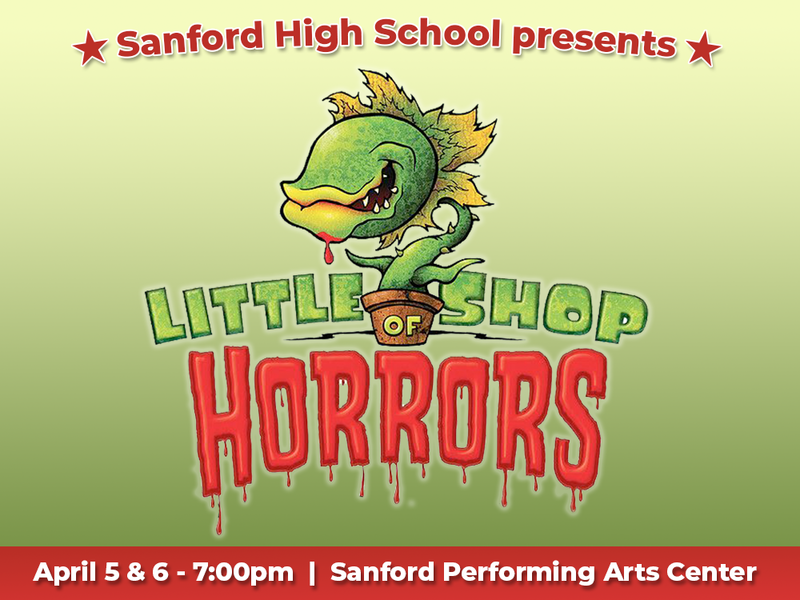 SHS presents "Little Shop of Horrors"
Sanford High School presents “Little Shop of Horrors” at Sanford Performing Arts Center on Friday, April 5 and Saturday, April 6 at 7:00pm. Note: this show contains mild profanity and a man-eating plant. It may not be appropriate for kids under 10. Tickets are $13 for adults and $9 for students and seniors. Tickets are FREE for all Sanford students, though tickets are still required for admission. Free student tickets can also be reserved using the link below. The box office will be open for ticket sales 90 minutes before each performance. Please arrive early if you do not purchase tickets in advance online.